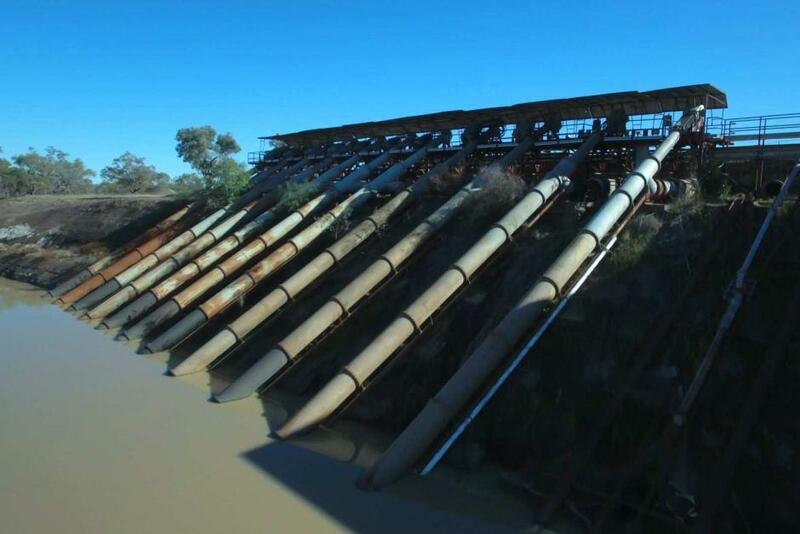 The recent ABC Four Corners exposure of grand water theft from the Murray Darling river system has left many Australians gobsmacked and angry. A recent Vanguard article about it can be found on this website. The response of the federal government to the theft (only under pressure) has been to set up an enquiry. This has only served to fuel the anger. There is no need for a toothless enquiry. The law is clear: theft is a punishable offence. If you or I were to commit a bank robbery and we are caught and proven guilty we would end up in jail. Even a bank robbery pales into insignificance when compared to this massive water theft. But it appears no such thing for the cotton producers involved, who are protected by their mates in government. Federal Water Minister Barnaby Joyce tried to diffuse and belittle the issue by saying that it was not a national issue in the hope that the case will die away and his mates will continue with business as usual. Likewise, for the corporations profiting from trading in water “entitlements”. Under capitalism this is considered part and parcel of carrying out a business, being enterprising, nothing illegal about this! The rules have been written in such a way that there is nothing illegal about the notion of water trading. The Four Corners program identified the large irrigator company Webster Limited as being a big player in water trading. The company stated that its “conscience is clear”. The chairman of Webster is none other than the notorious anti-worker Chris Corrigan, the boss of Patrick Stevedoring at the time of its vicious dispute with the MUA over the illegal restructuring of port operations by Patrick in 1998. The practices exposed by Four Corners are nothing less than environmental terrorism. Terrorism in any other form would be considered a jailable offence. So much so that special powers are given to the state apparatus to “protect” us from the terrorists. The fact that these environmental terrorists are not in jail exposes the lie that the special powers are about stopping terrorism. Instead they are there to repress any potential threat to the system when the people have had enough of it. This river system forms part of the life blood of our country – this water is a resource that is vital to life, human and non-human. The illegal pumping out of massive volumes of this water and the trading in water “rights” is an issue of national security. This is the most insidious form of terrorism because it affects not only citizens now living but also it jeopardises the lives of future generations. Many people are of the view that those who run the system under which we live will never be so foolish as to allow the environment to degrade to the point where many of our planet’s lifeforms (including humans) would disappear. Ordinary people think this way because the vast majority of them are good people and assume that the capitalists must also have the same moral convictions as they do. The behaviour of the cotton producers and the corporations involved in the water scandal should put an end to any notion that the capitalist system will not overstep the boundary resulting in ruination of the planet’s environmental health. The characteristics of capitalism need to be understood. It is a system based on exploitation, both of human labour power and natural resources. Even life-giving water is seen as something that can be converted into a commodity for generating profit. The intensity of this exploitation must of necessity escalate with time, otherwise the system will fall over. But try as they might, the capitalists cannot achieve this ad infinitum, so the system will fall over anyway. However, it is important to intervene in order to bring about the end of this moribund system sooner rather than later in order to alleviate the suffering of the majority of the world’s peoples and to still be left with a natural environment which is still salvageable. It would be correct to lock up these criminals who steal and trade in life-giving water and throw away the keys, in order to serve as a deterrent to others. Indeed, nothing less must be demanded. But don’t hold your breath for this to happen – unless the state sees that the peoples’ faith in the system is beginning to shatter, only then will it punish a few of these business criminals in order to restore the illusion that we live in a just and fair society.